- Stage 1 Tune - Specific for OEM configuration seeking improved power delivery and refinement over factory configuration. - Stage 2 Tune - Specific for aftermarket products installed including aftermarket intake and header/exhaust manifold. 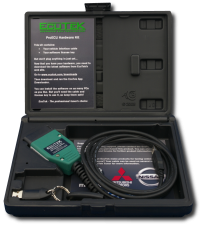 E85 Flex Fuel systems require a Stage 2 tune. - ACE Specific Tune - Specific to ACE header configurations. This tune is only available through CSG. This tune allows for an E85 Flex Fuel option. - Flash N Go - Forced Induction setups included standard turbo and supercharger kits available for the ZC6 / ZN6 platform. - Jackson Racing (C30 / C38) Supercharger - Jackson Racing supercharger kit specific only. - Edelbrock Supercharger - Edelbrock supercharger kit specific tune only. - Harrop Supercharger - Harrop specific only. - Innovate / Sprintex - Innovate/Sprintex supercharger kits only.